At RPG Plumbing, we are a leading domestic plumbing business in Brisbane delivering quality plumbing and gas fitting services. Whether you want need dishwasher maintenance, installation or other domestic plumbing services – we have you sorted. Our team of experts are top of their field and will always put you first. 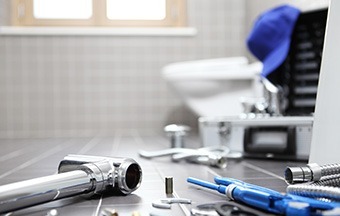 Over decades we have built up a reputation as one of the most reliable, professional and dedicated team of plumbers in Brisbane. Without domestic plumbing, we couldn’t brush our teeth, flush the toilet or have a nice, hot shower. Installing a dishwasher is a very straightforward, easy process for professionals. Our experts at RPG Plumbing will be in and out of your house in no time, allowing you to go about your day. The second most common form of domestic plumbing service we provide is toilet plumbing. Whether you require a new toilet installed in your renovated bathroom, or maintenance for a toilet giving you trouble, we’re on hand to help. Phantom flushes. This is where you hear the bowl refilling even though it was not in use. Leaking water pipe. If the toilet’s internal water pipe is leaking drops of water, you may hear a hissing or pressurised water sound coming from inside the toilet. Clogged toilets. This one goes without saying – clogged toilets are unpleasant but common! Leaking toilet seal. Your toilet has a lot of different seals around it, and if any of them come loose, you could notice water leaking in places it shouldn’t. At RPG Plumbing, we know it’s important to have a plumbing and gas fitter you can trust. That’s why we are active members of the Queensland Gas Association and Master Plumbers Association to ensure that all of our quality and training is the best you can find. Give us a call today for a free consultation for dishwasher plumbing, toilet plumbing and more.